Victoria Vaus is a title designer and based in Los Angeles, California. Victoria attended California State University at Long Beach, studying fine arts, film, and psychology. She has worked for titles and optical houses Cinema Research Corp. and Consolidated Film Industries (CFI), letterer Harold Adler, and title designers Pablo Ferro, Dan Perri, and Robert Dawson. Through Cinema Research Corp., Victoria worked on hundreds of film title sequences including those for Citizen Ruth, Eve's Bayou, Gia, and Player's Club. 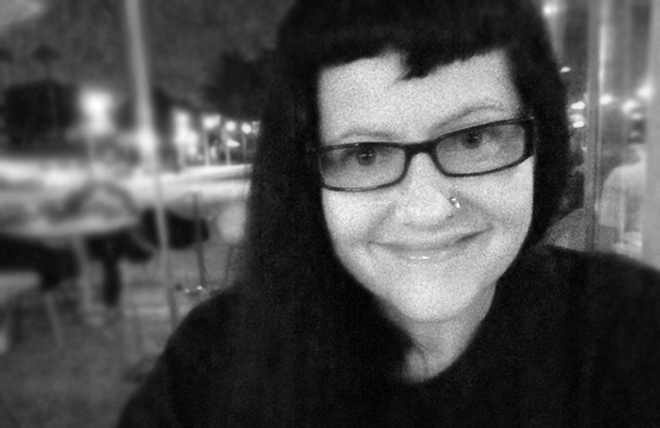 At CFI, she designed the titles for Albino Alligator and others. In 1998, she started her own title design studio Blue Motel, which was in operation until 2002. During this period, she designed title sequences for Permanent Midnight, Jawbreaker, Election, Dr. T and the Women, Next Friday, and others.